Eagle wood (Chenxiang)-Aquilaria agallocha Roxb. Part Used & Method for Pharmaceutical Preparations: The heart-wood, or resinous wood, is dried in a shady place, then sawn into powder. Meridians: Spleen, stomach and kidney. 1. Cold and qi stagnation manifested as epigastric and abdominal distension and pain. Eagle wood (Chenxiang) is used with Lindera root (Wuyao) and Costus root (Muxiang). 2. Cold in the stomach manifested as belching and vomiting. 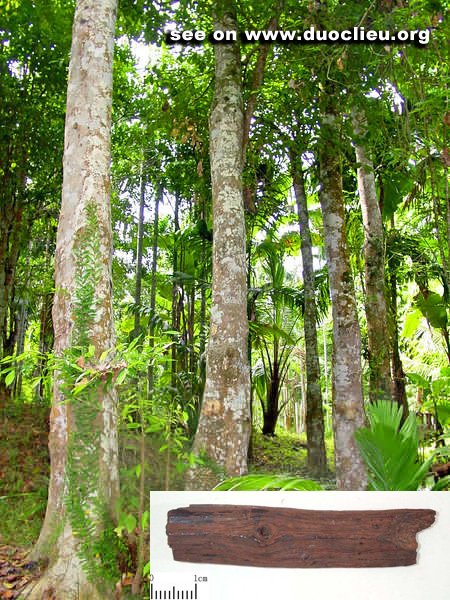 Eagle wood (Chenxiang) is used with Cloves (Dingxiang) and Round cardamom seed (Baidoukou). 3. Asthma due to failure of the kidneys in receiving qi. Eagle wood (Chenxiang) is used with Prepared aconite root (Fuzi) and Cinnamon bark (Rougui).